One of the greatest gifts you can give to a fellow human being is your kindness. In our unique, difficult journeys, we long to be blessed. The simple touch of another has the power to change our reality. Without giving freely to each another, it is hard to live well. 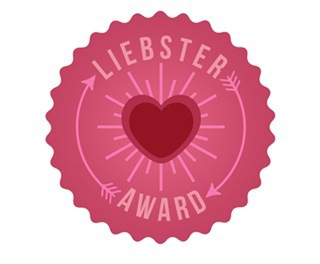 One of the most significant, yet simple, blessings we can give to one another is our encouragement and our blessing. To bless another envelopes the other person in a warm embrace, and it shares a part of your peace. Your blessing touches their soul and brings your love out into the open. We can never know how badly another person needs to be blessed. We walk through life, heavy with our own burdens and trials, sometimes missing the pain of others. Look up, look around and take in those who need you today. Your life experiences have the power to light someone’s path. Put your pain to work; let your knowledge and spirit bless another in need. Too often, we hold our pain inside. Blessing another may be simple, but it reminds us of our interconnected journeys and the love that lies within our hearts. It reminds us that our pain is not in vain. 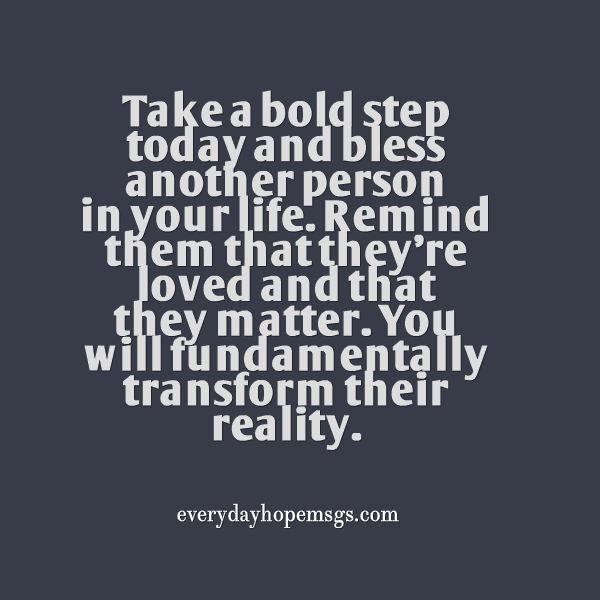 Take a bold step today and bless another person in your life. Remind them that they’re loved and that they matter. You will fundamentally transform their reality.